Is the Russia scandal an ultimate comeuppance for Facebook? Will its reputation suffer real harm as a result, or will it rise to the occasion and grow up? When it revealed it had sold about $100,000 in targeted ads to a shady Kremlin-funded organization bent on reaching U.S. voters, I was initially skeptical about any real impact on Facebook’s reputation or its business. Facebook has weathered many storms in its 13-year history. Today it is unrivaled as a digital advertising platform. In fact, by the end of this year Facebook and Alphabet (Google’s parent) will account for half of all ad revenue worldwide, and more than 60% in the U.S. Yet the original social network’s early challenges over platform changes, competitive practices, and even some user privacy policies seem almost quaint compared to today’s knotty issues. Live-streamed violence on the platform, ubiquitous low-quality clickbait, and the scale of the “fake news” problem have emerged as real business threats, particularly in Europe, where regulators take a dim view of its user data tracking. Most important, perhaps, is Facebook’s identity crisis — or, rather, identity denial, as the stakes have risen. As it has grown in size and influence, Facebook stubbornly maintained that it’s a technology company, not a media business. Insisting that it’s an agnostic tech platform, of course, makes it seem less accountable for unintended consequences around content abuses or the sway of fake news. And Facebook seemed determined to have it both ways, wanting all the growth and influence with little of the responsibility beyond basic moderation. Facebook resisted the media company label even as it dove deeper into content paying media companies to create content and planning to develop its own TV-style shows. But the real tipping point came with the revelations of Russia-sponsored ads. 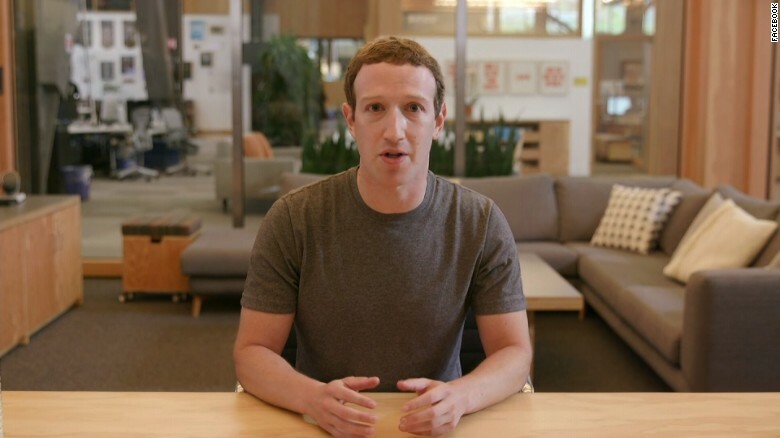 No one – least of all the media who covered the story and dogged Mark Zuckerberg about a paid Russia connection – has forgotten his response. He famously called it “kind of a crazy idea” that Russians might have used the platform to influence voters. Today that idea isn’t so crazy. And Facebook looks clueless, or, worse, deceptive, for its denials. (Some of the ads were paid for in rubles, for heaven’s sake. How hard could it have been to spot them?) Instead of “bringing the world closer together,” as outlined in its mission statement, it seems Facebook has been used to divide us here at home. Perception is reality, of course. Facebook is the world’s largest media company, and it must own up to that status. To his credit, Zuckerberg issued an apology for his “dismissive” attitude. He followed the familiar pattern of Facebook-in-crisis-response mode, including a soberly scripted video that addressed the situation on Facebook Live. Most importantly from a reputation management perspective, he has pledged tangible measures to prevent such weaponization of the network in the future. The company is naturally cooperating with the Congressional investigations and it recently detailed measures to root out fake stories and shutter imposter accounts. Most observers think the recent revelations are the tip of a larger iceberg. If so, what Facebook does in the coming months is crucial to the future of its brand and even its business. According to Farhad Manjoo of The New York Times, Zuckerberg’s true skill is not that of a visionary, but “in looking back and fixing where Facebook has failed.” Manjoo sees hope in the example of Facebook’s failure to fully anticipate the rapid shift from desktop PCs to mobile devices, and the initial mobile strategy that Zuckerberg “tore up” and rebuilt from scratch when he realized how inadequate it was. I hope for the brand’s sake, and for our own, that he is right.